Grandmother Tracey, 50 years old, was cruelly abused when she found herself pregnant with FOUR babies after IVF treatment. Her response: If Jagger can be a dad at 73, why should I feel guilty? Like many of her peers, 50-year-old Tracey Britten has a touch of arthritis, frequent bouts of backache and has, inevitably, succumbed to reading glasses. 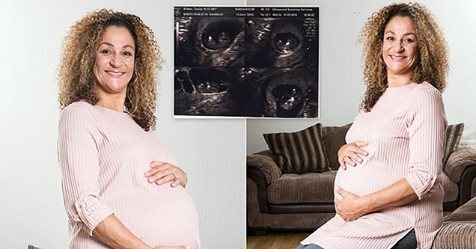 However, while her contemporaries may be looking forward to taking life a little easier, their children have left home, Tracey is about to become Britain’s oldest mother of quadruplets. Originally posted on September 28, 2018.